In Guatemala and Other Poems, Brian Campbell takes us into a world of urban ciphers who rage and delight in their hysterically sharp-edged, homuncular condition; that of the wronged Jonah, who in his fury at his God finds clues of the ultimate conundrum of his existence; and into mid-1980’s Guatemala, where in a poignant and lyrical piece of poetic reportage Campbell reveals inner contradictions of that beautiful and tragic country. All these forays are conducted with consummate assurance and poetic skill. the woman clutched herself. She rocked. Her sobs were a violent laughter. All around her, almond trees bloomed. Birds cheeped in a nest, somewhere high up. of sugar, oats and gold. Their voices were quite audible. Warning: Any resemblance to actual persons (living or dead) or to places or events is strictly intended and frighteningly accurate! 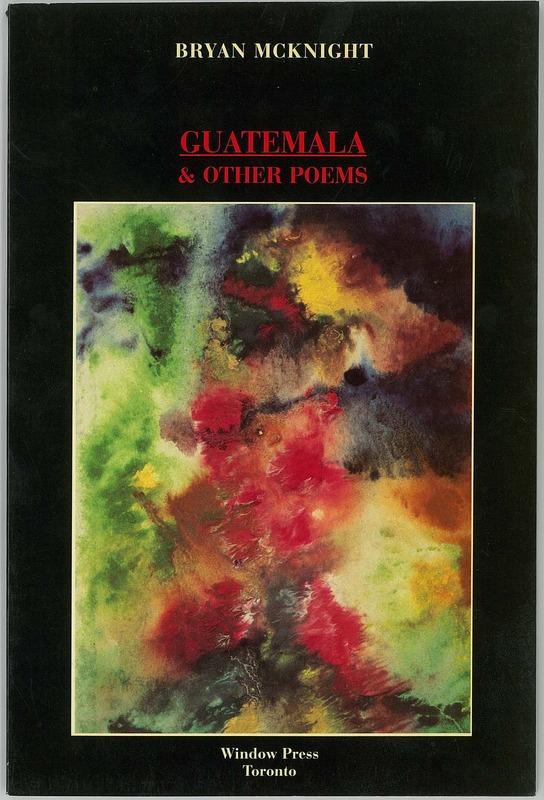 A guided tour (de force) in poetry from the steamy jungles of Guatemala to the ill-fated Jonah and back to our fragile selves.